Husqvarna motorcycles is proud to announce that the 401 vitpilen concept has gained top honours in two of the most prestigious design competitions globally – the international design excellence award (idea) organised by the industrial designers society of america (idsa) and the automotive brand contest 2015 organised by the german design council. 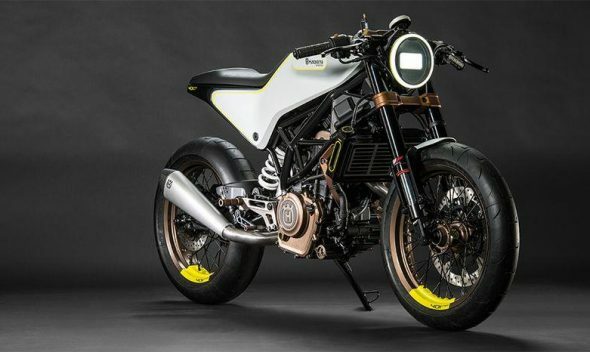 With more than 1,700 products entering the 35th edition of IDEA, the jury granted the Silver Winning award to the Husqvarna 401 Vitpilen concept. The award signifies notable recognition for the whole team behind the 401 Vitpilen, who drew their inspiration from Husqvarna’s golden age and the iconic 1953 Silverpilen. The IDEA 2015 winners were announced on August 22. The second award came on August 26 with the independent panel of design, media and academic experts of the Automotive Brand Contest handing the Best of Best award to the Husqvarna 401 Vitpilen concept. It was another milestone for the 401 Vitpilen’s design, which offers just a glimpse of Husqvarna’s future in the street bike sector. Adopting Swedish design simplicity, the 401 VITPILEN is based on a functional and uniquely modern design, which combined with cutting-edge technology and high-quality hardware delivers a genuinely exciting riding experience for the street. It’s one of the rare instances where forward-thinking engineering and an authentically pure design concept, that has now officially gained international recognition, blend together in perfect symmetry.